Devoid Of Culture And Indifferent To The Arts: Gardening: There’s no stopping it now! Early Spring flowers are starting to make an appearance in Halifax, and about time too. It’s been a pretty cold winter that seems to have lasted forever. The snows have almost all melted, but it’s still colder than I would prefer. At least our Winter snow cover helped protect all of our slumbering plants. There’s nothing like bare earth and icy wind through the winter months to do a number on your perennials. But the snow has mostly departed, except for the very large piles, and the first harbingers of Spring are poking up from the cold earth. 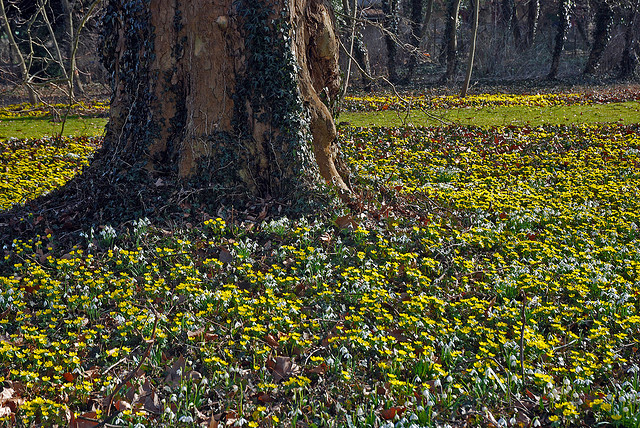 We have already seen hyacinths, crocus, and snowdrops showing their leaves—and also an underrated very early springtime flower called Eranthis (or winter aconite). 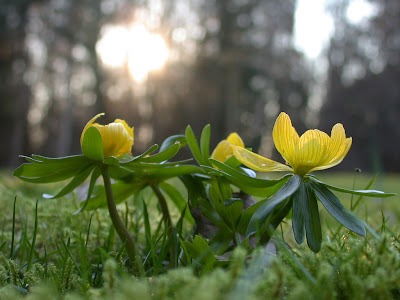 Eranthis are a diminutive relative of the buttercup (Ranunculaceae family) that are native to southern Europe and Asia. The flower is bright yellow with a “ruff” (or bract) of leaves on each single stalk. 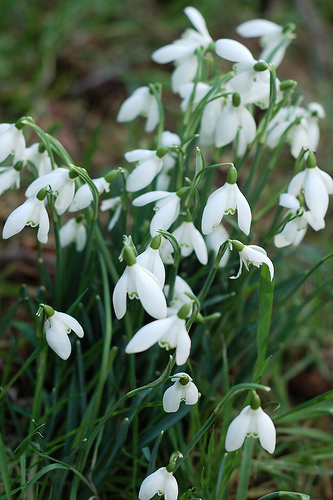 Usually only achieving 3”-4”, they are among the earliest flowers to appear in Spring, or earlier. In Nova Scotia I have seen them bloom through melting snow cover. In warmer climates they have been known to bloom in January. Eranthis flower for 2-3 weeks when there’s essentially nothing else on offer. After blooming the leaves stay for a time to replenish the tuber. The whole plant eventually dies back to ground level and disappears completely by late Spring. It then sleeps again before starting to stir underneath the next winter's snows. Eranthis are quite easy to find to purchase. You can buy the tubers in the Autumn at most garden centres. Plant then at the same time as tulips, as they need time to settle in before the cold weather arrives. 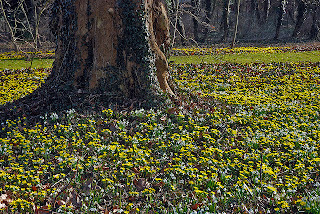 Eranthis are cold hardy between USDA Zones 4-7. Nova Scotia is mostly between 5B and 6B so it's completely winter safe for your garden. These happy little flowers reward you by multiplying, if a bit slowly, year after year. Just don’t forget where they’re sleeping during the rest of the gardening season!